If you walk into our store on an average Thursday, don’t be surprised to hear gasps and possibly squeals of delight coming from our designers. I want to show you some of the new plants that have arrived that we are loving. They just might have received the most acclamations of any new shipments ever! Welcome the Monstera Deliciosa! You have probably seen these babies all over Instagram and Pinterest and for a good reason. This is such a hardy and easy going plant. Simply place it in bright indirect sunlight (it can tolerate lower light but will grow faster and showier in brighter light conditions) and watch it grow. Watch out, if you place your monstera in direct sunlight, you will burn the leaves. These plants prefer to dry out between watering instead of being kept evenly moist. Water when the top 2” of your plant is dry. Keep your monstera in its plastic growers pots that it comes in and every 10 days or so (or when the top 2” of the plant is dry) take it out of its decorative pot and place it in the sink and give it a good water from the top and a good water from the bottom. Water more often if you purchased one of our 4” size Monsteras. They love humidity, so mist them once a week all over their leaves in the morning to allow it to evaporate before evening. Hello Rex Begonia! 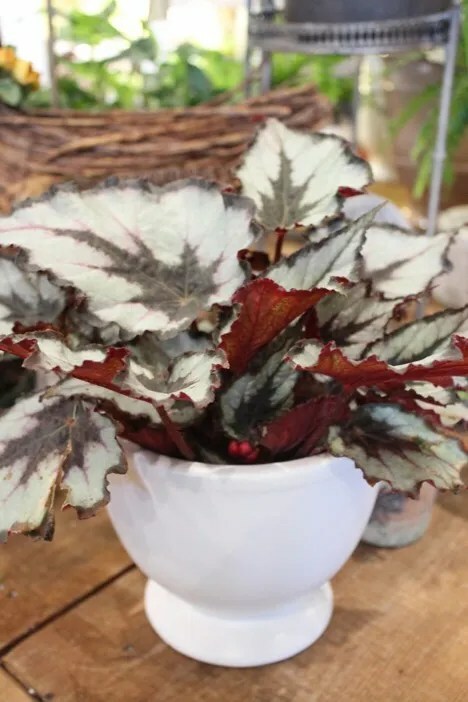 These beauties are known by a variety of names from painted leaf begonias to fancy leaf begonias. There are hundreds of varieties that generally go by any of these names. You will find some with silver, burgundy, purple and green leaves, all stunning in shape and size. The flowers are tiny and not very showy, so most people will cut back the flowers and encourage stronger greenery. Rex Begonias like bright indirect sunlight. They can tolerate less light, but this will result in leggier, slower growth. Give these guys a good watering once a week or so and let them dry out slightly between watering while trying to keep the plant evenly moist without overwatering. Water on their leaves and overwatering will cause mildew so be careful when you do water them. Looking for an interesting low light plant? Welcome the Calathea! The beautiful variegation on the top of the leaves is a stunning contrast from the deep purple underside of the leaves. This baby can be found growing on the jungle floor where it is protected by the large plants. They still need natural sunlight in our homes, but direct sunlight will result in burnt leaves. When watering your Calathea, make sure not to over water as it may cause your plant to rot. Keep your plant in its plastic grower’s pot with drainage and water it in the sink to avoid leaving standing water in your decorative pot. Let me introduce you to one of the most indestructible house plants that you will ever meet, the ZZ plant! ZZ is short for Zamioculcas Zamiifolia, so let’s just call it a ZZ to make life easier for all of us. This beauty thrives on neglect, go figure! One of the newest varieties of house plants, these were found in the drought-prone areas of Africa. It was only brought into the houseplant world in the late 1990s. This slow-growing, self-cleaning plant has lovely shiny little green leaves and can tolerate low light and abnormally low amounts of water. The only downfall of the ZZ is that it is poisonous to animals, so keep away from curious little friends. 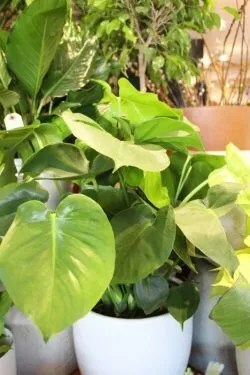 Place your ZZ plant in low light to bright indirect light and water only when the soil is dry. You can go up to three weeks or so between watering. 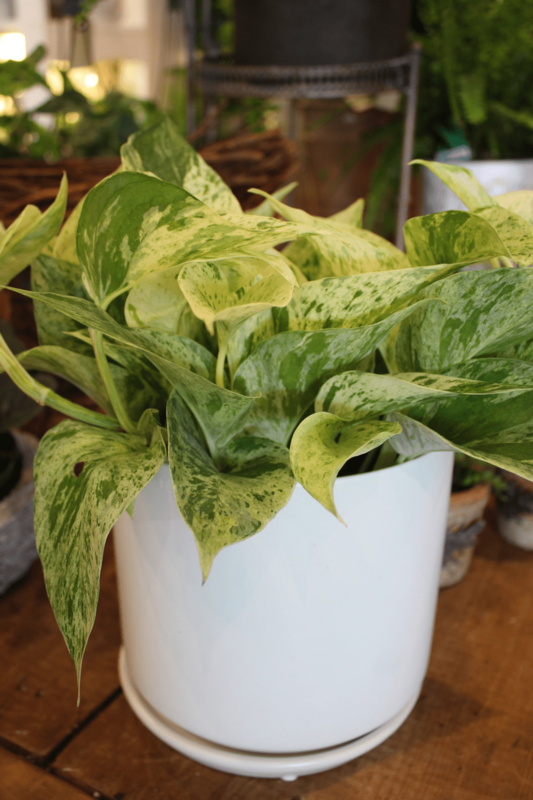 Last but not least is the Marble Queen Pothos. 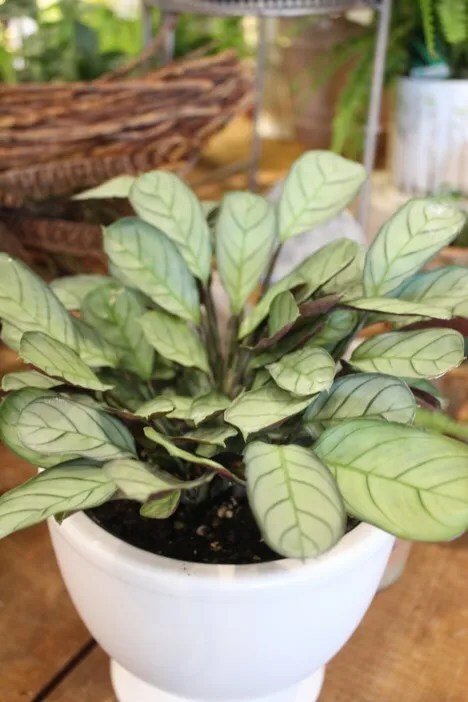 Sometimes referred to as Devil’s Ivy, this is one of the prettiest members of the Pothos family. Easy to grow in low light, the colouring adds a perfect splash of variegation amongst your greenhouse plants. The Marble Queen is perfect for sitting on a shelf and hanging down or training to climb up a pole. Make sure if placing in low light that it still gets a bit of light as you may lose the variegation and the new growth may be straight green. The Pothos prefers to dry out really well between watering. Wait until the top 50% of your plant is dry before giving it a good watering from both the top and bottom of the pot. This is a great plant for cleaning the air but is toxic to animals so keep it out of their reach. Which of these new plants is your favourite? Let me know in the comments!